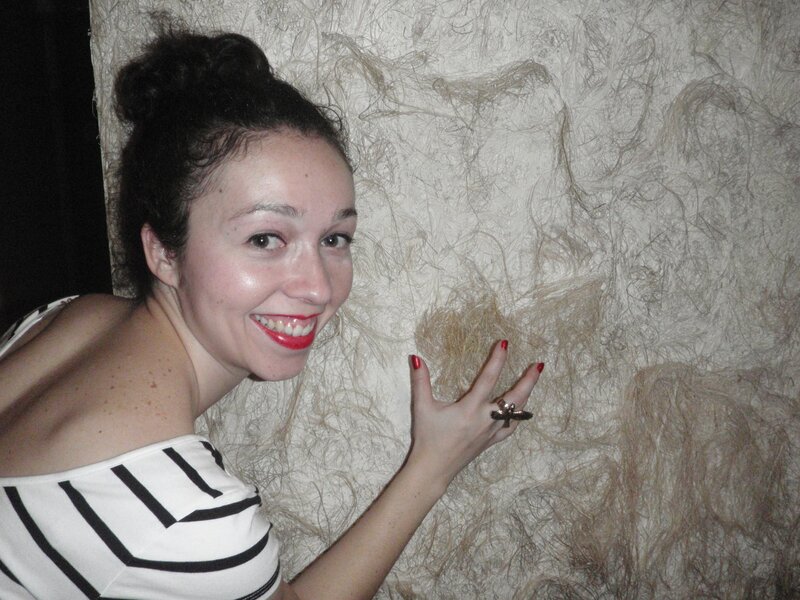 In our Copacabana apartment, covering one of the feature walls in the main lounge/dining room, was what I can only describe as a wall of hair. It was very un-Brazilian, or perhaps the remnants of a thousand Brazilians. At first the wall of hair disturbed me. I felt the room would be cleaner, tidier, and somehow more hygienic without all the fluff… I wondered how much wax it would take to get rid of the stuff? It was only after much joking, brushing, poking and laughter while posing in front of this arty prop, did we realise that this giant wall wig gave the apartment a priceless imperfection, a retro characteristic that wasn’t to be shunned or ashamed of, but embraced and displayed proudly. Just like past infatuations that can never be explained (due to wrongness! ), the wall of hair was a unique anomaly to be thought of fondly with a disgusted smile and a shrug. Previous Impressions of Rio – mugging FAIL! Next I’m going to be in the Carnival Parade baby, CARNIVAL!! You would have rolled in it!